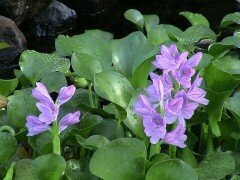 The water hyacinth, whose scientific alias is Eichhornia, is a lovely aquatic flower. While native to South America, the Eichhornia has become commonplace o­n a number of other continents in recent years. Pale purple and pink flowers are typical of most Eichhornia species, of which there are seven. The leaves are usually large and glossy, and float o­n the surface of the water. Eichhornia is noted for its extremely fast rate of growth and the incredible yard or more that it can grow above the water's surface. Eichhornia is a free-floating plant, so it needs a fully inundated area in which to grow. 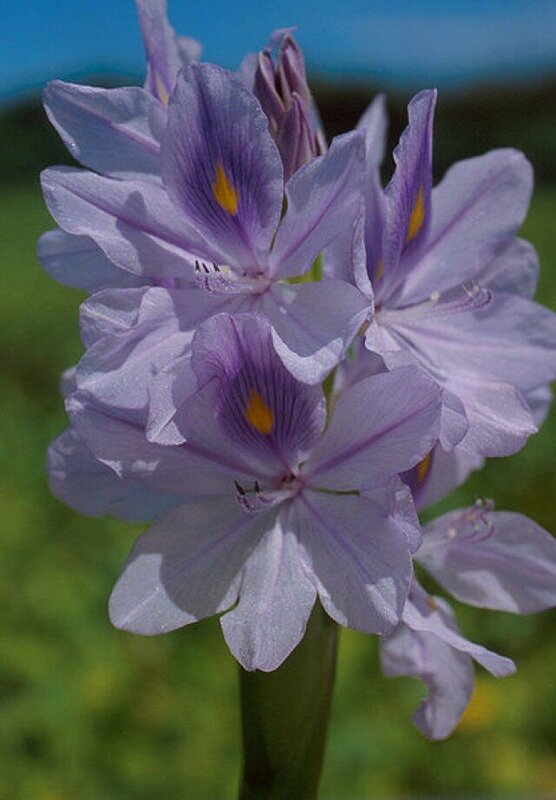 Any gardeners wanting water hyacinth in their ornamental collections will require an artificial, self-contained habitat for their new flowers, due to the invasive traits that all Eichhornia share. Usage in a pond or stream is not recommended. When it escapes and becomes naturalized, Eichhornia have little to no known food value for fish or other segments of the food chain beyond their roots providing habitat for smaller invertebrates. More importantly, Eichhornia often reproduces so quickly and to such an extent that it can completely cover the surface of a body of water, thereby causing oxygen depletion and the death of whatever fish inhabit the area. 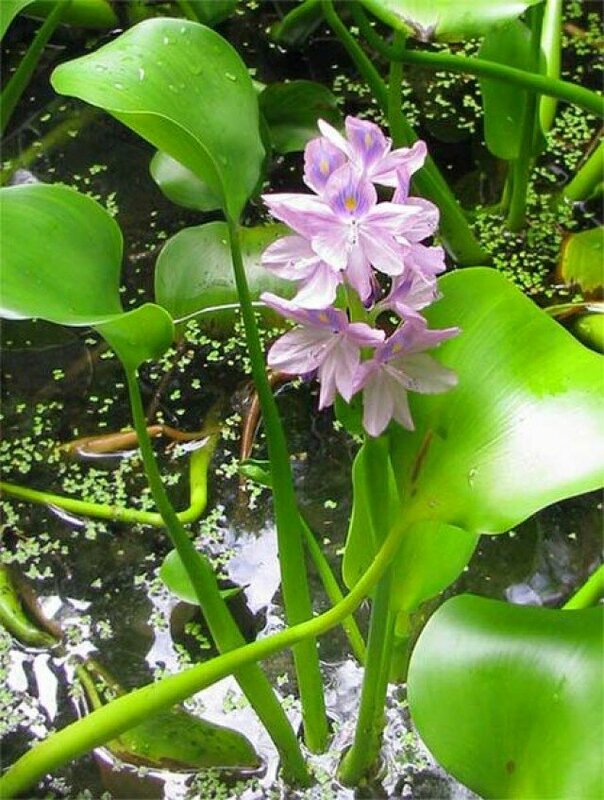 Water hyacinth has even gone so far as to interrupt operations at hydroelectric facilities. Oddly enough, however, Eichhornia is remarkably tolerant of heavy metals in water, so it could show promise for industrially polluted waters. In the event that Eichhornia ends up in a larger body of water than an ornamental pool, resign yourself to perpetual management efforts. But as long as a gardener is careful to contain their water hyacinth, its foliage and blossoms will provide a stand-out display.